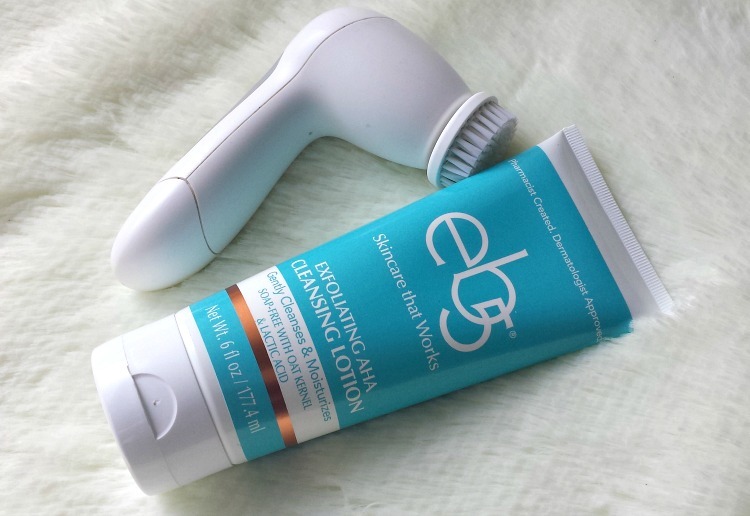 eb5 Exfoliating AHA Cleansing Lotion- This soap-free cleanser contains lactic acid, which is the gentlest Alpha Hydroxy Acid available. Combined with oat kernel, this cleansing lotion is formulated to gently exfoliate dead surface cells, regulate the skin's pH, all while increasing moisture. These are the key elements to keeping your skin supple and the wrinkles at bay! My skin is loving how gentle and effective this cleanser is, guys. And though it doesn't lather, my face feels so smooth and clean after rinsing the lotion from my skin. I also appreciate that it doesn't have a strong scent, as many other scented cleansers have triggered headaches and irritated my sensitive eyes. 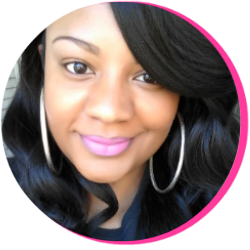 And it's made with ingredients specific to my skincare goals: increased moisture, and improved skin tone + texture. 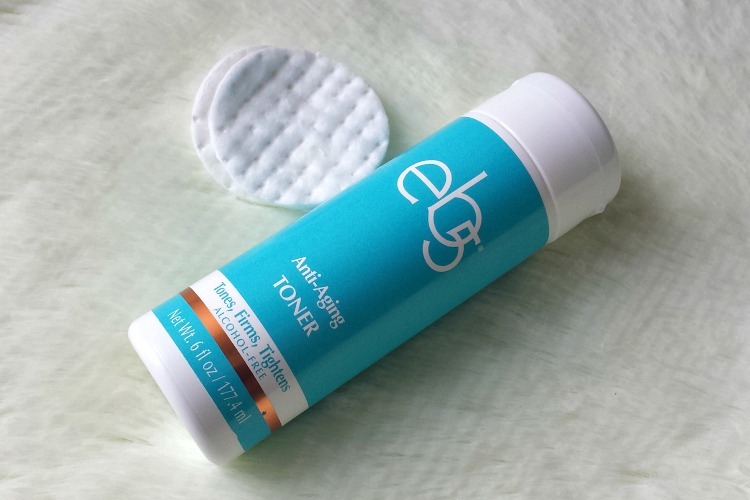 eb5 Anti-Aging Toner- This toner is designed to tone, firm, tighten, and remove makeup without drying the skin. I will admit to loathing the toning step of skincare because I rarely find an alcohol-free one I love. But this one has won me over! It feels so cooling & soothing when I glide across my face with the cotton pad. And any trace of makeup that wasn't removed with the cleanser will definitely come off with a swipe of this toner. It gets the job done without drying your skin (which no one is trying to tolerate in the winter) and I can appreciate that! eb5 Vitamin C Serum Concentrate- Combined with Green Tea and Vitamin E, this serum brightens skin, fights free radicals, and soothes skin while increasing moisture. I love the fact that it's so lightweight. It doesn't make my skin feel slick or sticky after applying it, either. And I definitely believe the glow I wake up with in the mornings is attributed to using this serum at night. Though I use it twice daily, I feel like it works overtime while I'm sleeping! eb5 Anti-Aging Cream- When I tell you this cream is the truth, please believe me. Do you remember when your ma and grandma used to slather their skin with beauty cream at night and it kept those wrinkles at bay FOREVER? That's exactly what I think of when using the eb5 anti-aging cream. It has such a rich, creamy consistency. And while my skin is oily in the summer, the t-zone is dry and flaky in the winter. This cream does an excellent job of keeping my skin moisturized. All it takes is a dab of the fingertip to your forehead, cheeks, chin, and neck, as a little goes such a long way. I bet this one jar will last me for months on end! 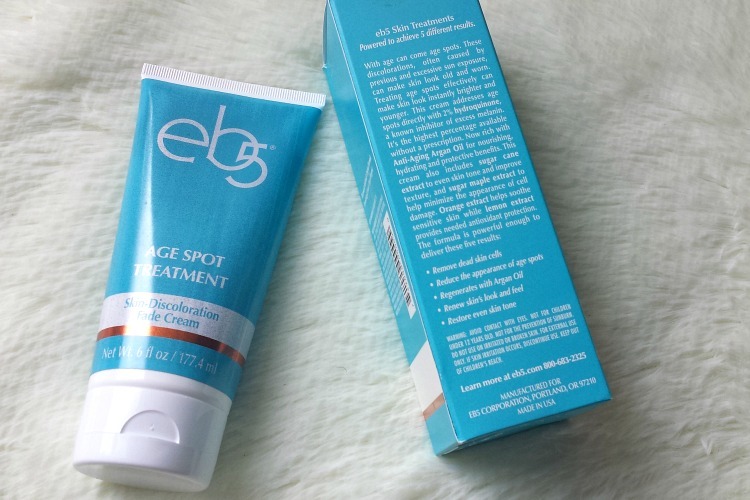 eb5 Age Spot Treatment- This treatment is the last step of my skincare regimen and contains 2% Hydroquinone, the highest percent available without prescription. 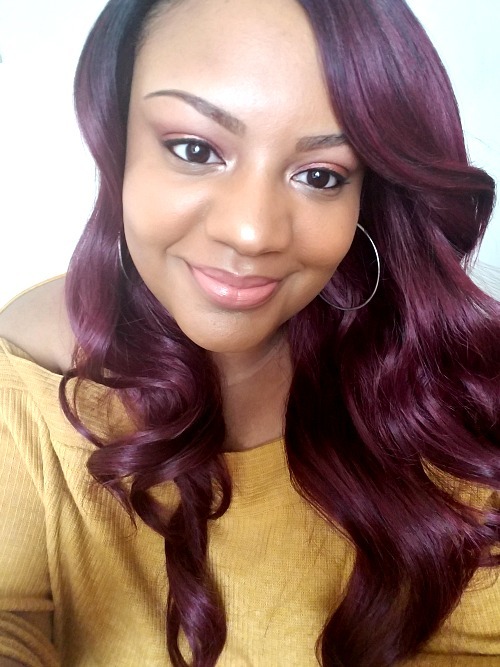 I am starting to see a little improvement in the hyperpigmentation on my right cheek and chin, but I want it to be more. Patience has never been a virtue I've held when it comes to dark spots, y'all. But I have learned that with fade creams, it does take time and consistency to see great improvements. And since this product comes so highly recommended, not to mention the benefits I'm receiving from the other products, I will keep at it with this treatment and chart my progress again in about 2-3 weeks. All in all, I am loving this system so far. 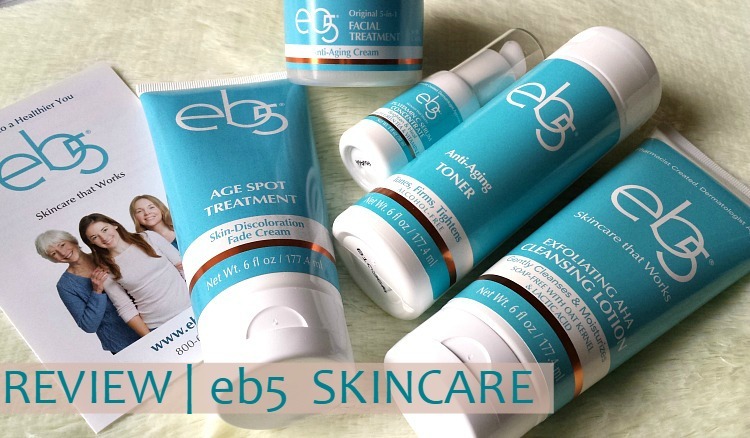 eb5 Anti-Aging Skincare is packed with healthy natural ingredients, is affordable for the diva like me on a budget, and even has samples you can try if you're on the fence about trying them. And while I can't say my skin is completely clear and hyperpigmentation free yet, I haven't had one breakout since using eb5 Skincare. I might have gotten one pimple on my chin due to hormones, but it sure didn't stick around long enough for me to complain too much! To learn more about eb5, be sure to visit the site at www. eb5.com as well as check them out on Facebook and Instagram. 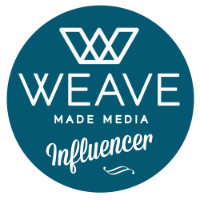 If you'd like to try these products for yourself, use code "bloggergift" to receive 10% off your purchase. And if you stay tuned, I will be sharing a giveaway with you guys soon! 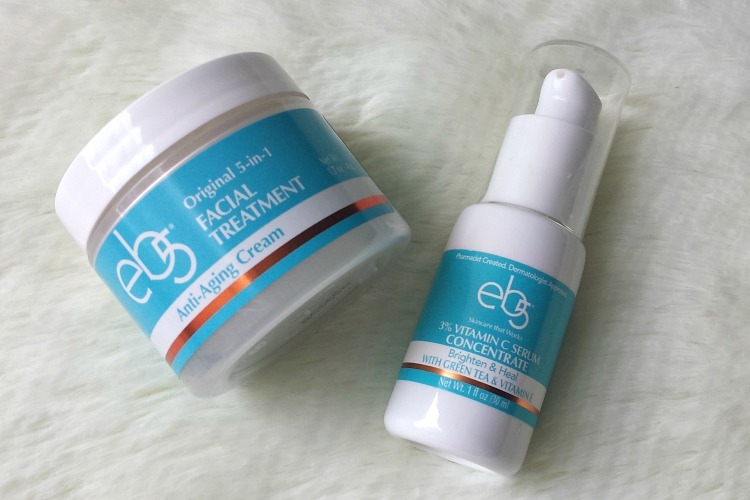 Disclosure: eb5 Skincare was sent to me for review. However, the content and opinions expressed here are all my own. To learn more about my disclosure policy, click here.